I don't spend enough time researching and using 'green' makeup and beauty products. If I'm honest I usually assume that the quality isn't as good and therefore spend my money on products I know and trust. 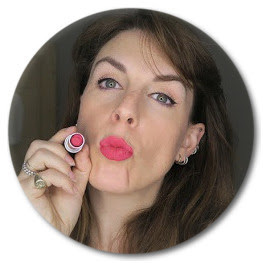 Makeup isn't cheap and there's nothing worse than buying something that turns out to be crap and as a makeup artist once I've found something that works, is long lasting and that works well on a lot of peoples skin I tend to stick with that product. Recently I was sent a couple of products to try from biggreensmile.com so I've been testing them out one at a time and the first one I've been using I'm really loving. 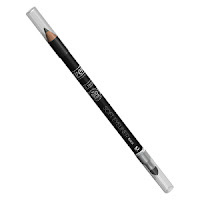 Lavera soft eyeliner has the staying power of eyeliner but the blendability of kohl - you get a lot of product for your £8.95 and it's suitable for vegans, contact lens wearers and is Natrue certified. It comes with a smudger at one end so it is a great, quick way to get smokey eyes and is available in black, brown and grey. What is great about biggreensmile.com is you can see all the ingredients for the product so if there is anything you are allergic to you can tell right away and anything you are not sure about you can research it before buying. I personally don't find the website that appealing to use but I'm going to save it to my bookmarks and try, once I've tested out their other products, try and reorder from there as much as I can - they don't only do makeup but hair care, deodorants, cleaning and baby products and stocks a couple of well known brands like Neals Yard, Burts Bees and Dr Hauschka. I really recommend checking out this site and the Lavera eyeliner for those of you who have sensitive eyes or want more eco-friendly products.